[DFG] – Earlier this week the bear known as “Meatball” returned to the La Canada Flintridge area and was captured on video in at least two locations and seen in at least in swimming pool. 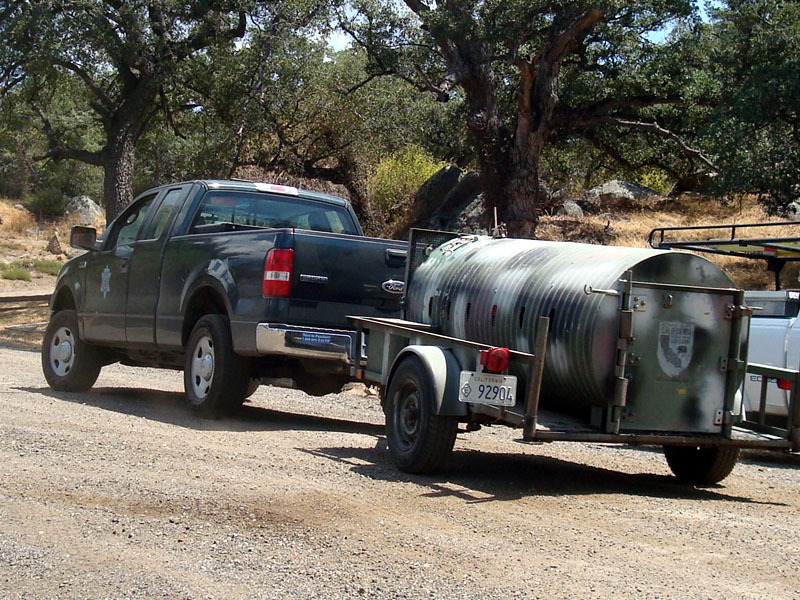 In reaction to this a DFG Game Warden used his experience and training to set a culvert trap baited with bacon and honey and captured the bear at approximately 4 a.m. this morning in the 5000 block of Ocean View Blvd in La Canada Flintridge. 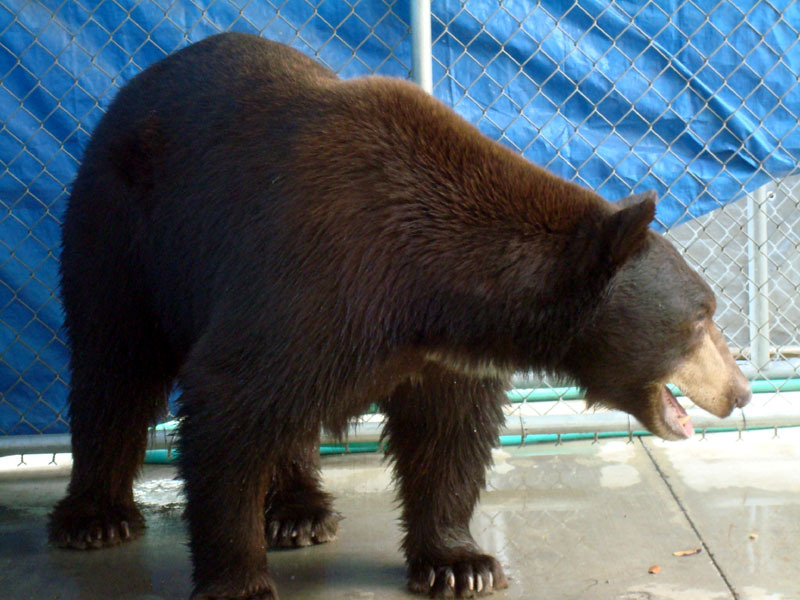 The bear was transported to the Lions, Tigers and Bears rehabilitation and animal sanctuary in Alpine, California, north of San Diego, arriving at 1:20 p.m.
At this time the bear is safe and secure and resting comfortably. “As a wildlife agency our goal is always to keep animals wild but in this case the best interest of the bear was to capture and relocate him to a safe and secure facility, said DFG Information Officer Andrew Hughan.